Book a coach: rent good buses close to Stendal and from anywhere in Saxony-Anhalt for local and long-distance travel itineraries and transfers within Germany. 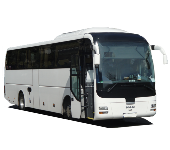 The coach reservation website Stendal Busvermietung can provide you with efficient coach reservation service with professional driver within and close to Stendal (region of Saxony-Anhalt) and anywhere else in Saxony-Anhalt and in entire Germany. Thanks to our partnership with established bus companies in the surroundings of Stendal, from all other settlements in the region of Saxony-Anhalt, from all districts in the current region of Saxony-Anhalt, and from entire Germany, the team of City Tours Europe can provide you with top-class coaches with a professional driver. In case you are looking to hire a coach with driver, through our company you can hire affordable luxury coaches from the region of Stendal and any other city in Saxony-Anhalt with good driver from Saxony-Anhalt for any type of tour. In addition to many other services, we and our local partner coach companies do offer you journeys by local coaches from Saxony-Anhalt as well as from anywhere else in Germany. Our company can carry you from Stendal to Magdeburg, Halle/Saale, Dessau-Roßlau, and Wittenberg - as well as to all other cities in Germany and Europe.
. Our agency waits for your bus rental request and will answer you in the shortest possible time with a quotation regarding your bus tour starting in Saxony-Anhalt or in any other part of Germany and entire Europe.